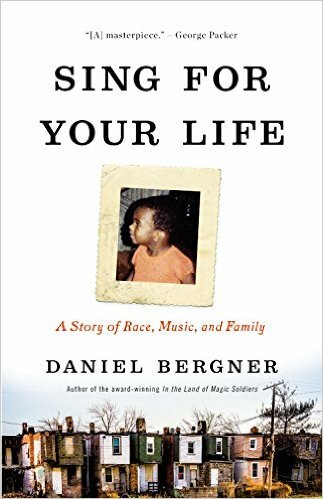 THE READERS RAG: "SING FOR YOUR LIFE: A STORY OF RACE, MUSIC, AND FAMILY" BY DANIEL BERGNER -- ONE MAN'S PERILOUS CLIMB TO SUCCESS! "SING FOR YOUR LIFE: A STORY OF RACE, MUSIC, AND FAMILY" BY DANIEL BERGNER -- ONE MAN'S PERILOUS CLIMB TO SUCCESS! 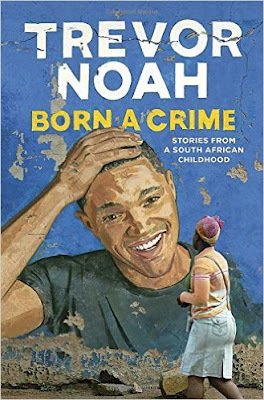 This is the biography of a young black man who rises from poverty and a broken home to achieve greatness as an opera star at the Metropolitan Opera in New York City. As the blurb says on the cover sort of like "The Blind Side" but in Opera not football! You'd think all this fame would go to his head, but in fact Ryan Speedo Green, the hero of this book, is a gentle, modest, well spoken young man who is hesitant to blame anyone for the difficulties he faced as a child. The book itself comes to us via Lee Boudreaux Books which is part of Little, Brown & Company. Begun in 2014, the description of Lee Boudreaux's books is as follows: "Unusual stories. Unexpected voices. An immersive sense of place. Lee Boudreaux Books publishes both award-winning authors and writers making their literary debut. A carefully curated mix, these books share an underlying DNA: a mastery of language, commanding narrative momentum, a knack for leaving us astonished, delighted, disturbed, and powerfully affected, sometimes all at once." The author, Daniel Bergner, has a very fine pedigree. He is the author of five other books, all of which have been well received, and he is a frequent writer with The New York Times, Harper's, Mother Jones, and The Atlantic. I was particularly struck by this story because Opera is my home territory. My father was a German Jew who absolutely loved Opera, particularly Richard Wagner, and together with my Mom, they both made a pair of ardent Opera lovers. We lived in New Jersey and some of my earliest memories involve driving to the Opera as a child (two hours there and two hours back) and spending long Saturday afternoons at the Met. There were four children in my family, and our parents would line us up in the cheap seats on the balcony and we were threatened with a fate worse than death should we make a sound during the performance. By the time I was a senior in high school, my parents and I had subscription seats to the orchestra. This means that, in many ways, a book like this talks about a young man's aspiration to take up a place in my home territory and I applaud him for his ambition and for the strength of the commitment that got him there. More than quite a few, I am aware of the kind of detail work, constant practice, and hours of dedication that are involved in becoming a singer at the Met. I've watched it and heard it all my life. Opera singers are essentially vocal nerds--they don't just open their mouths and sing. Everything they do involves technical finesse and constant vigilance in regard to small details of pronunciation in multiple languages--Italian, German, Russian, French--and in regard to the niceties of vocal technique. This is required of singers who participate in one of the most comprehensive art forms culturally in play today. It includes singing, acting, and often dancing, as well as a full orchestra. In my view, Opera performances reveal the human heart and mind more deeply and more complexly than any other art form. In Opera you can literally reach out and experience the divine. Of course, that's if you are paying attention and don't fall asleep! Given that many Operas can last as long as 6 or more hours, granting an intermission, not sleeping can be a big challenge! There are many aspects of the this book that I find striking, but I will leave to the reader his or her own journey through the vagaries of Ryan Speedo Green's steady rise from rags to riches. What I want to do is focus in on some aspects of the story which were particularly notable. I shared my progress through this biography with another Opera lover who was well ahead of me in reading the book. At one point, she asked me if I'd gotten to the disturbing part yet. I was quick to ask her not to ruin my experience with any spoilers, but eventually I arrived at what troubled her, and I'd be interested in knowing if this troubles you as well. After Mr. Green hit rock bottom, he returned to middle school determined to change his life for the better. When it comes to these rags and riches stories, this is a very common theme. It is the hero's decision to mold the future for the better that often makes the difference between a person who rises to success and one who doesn't. In Mr. Green's case, his decision involved him, as an African-American, trying to behave as white as possible. He began to watch television and imitate the pronunciation of the news announcers on TV. He began to hang out with nerdy white students and joined the Latin Club ultimately earning the title of "Oreo" because his peers began to see him as, like the cookie, black on the outside and white on the inside. As he put it, in his school "All the black kids hung out with the black kids, all the white kids with the whites. And I tried to hang around with the white kids--the white nerds. They were the ones who were the most different from what I knew. I was going to get as far as I could from what I was accustomed to. I wanted to be part of their world, the white world." p. 126-127. This got to the point where Ryan attached himself to the family of a white friend of his--Jared Poulter--and pretty much stayed with them for days on end. Of course, nothing could be quite as distant from his African-American origins as European opera! In fact, the book goes into a good deal of detail about how the music of African-American culture, particularly Church gospel music, does not lend itself to a good preparation for future African-American opera singers because it leads singer to produce a sound that is deeper and more husky than that considered optimal for the art of Opera. Further, Mr. Bergner provides information on a widely held theory that African-American singers have inborn physical characteristics that make it difficult for them to sing opera properly, i.e. "in-born aspects of the pharynx, the region running from the back of the throat to the back of the nasal cavity..." p. 218. Of course, this begs the question of how Leontyne Price, Marion Anderson, and Lawrence Brownlee managed to achieve such success despite being black, but perhaps they were fortuitous exceptions. What do I know? I am not saying Daniel Bergner endorsed these theories, but merely that he reported that they exist within the community of opera professionals, in the same way that he reported on Ryan Speedo Green's struggle to escape these kinds of stereotypes to define his own style of artistry within the field of opera. For instance, Mr. Green's strong wish to avoid being asked to sing the very popular song "Old Man River" repeatedly, simply because he is black. These were the barriers in terms of attitude and expectation that Ryan Speedo Green faced in his journey towards success. For those of you who love opera and delight in hearing more details about what goes on behind the scenes, this is definitely a book you will want to read. Also, Ryan Speedo Green is an extraordinary man of strength and courage who has overcome horrendous and difficult circumstances to be where he is today. You will want to honor and bear witness to his story. As a final note: Although many will be inclined to judge his mother, Valerie, who frequently disciplined Ryan harshly as a child using severe corporal punishment, keep in mind that this kind of parenting has a long tradition in the African American family as detailed in Richard Wright's autobiography "Black Boy" and has its roots in the struggle to ensure the survival of black men, not only during slavery, but in its dangerous aftermath with the rise of the KKK. Historically, African American parents have often harshly disciplined their male children hoping that they would then grow up to be sufficiently compliant to avoid lynchings.